Alan has worked as a spatial planner in London where for a number of years he combined practice and academic work. 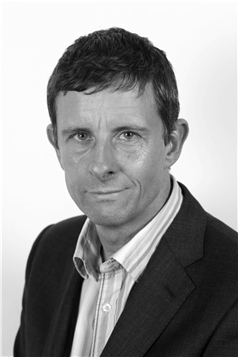 He has considerable experience of community involvement in major planning applications and policy development. He has carried out policy focussed research on second homes for the Welsh Assembly Government and the Countryside Agency and on internal space standards in England and Italy (funded by the Royal Institute of Chartered Surveyors). Alan is also interested in governance and planning and is currently part of a research team funded by the Norwegian Government to look at the decision making process informing the outcomes of compact city initiatives. Alan’s current research interests also include relational suburban places, in particular he is interested in how residents construct and maintain a sense of belonging in the suburbs. Until 2014 he is working with a team from Hosei University in Tokyo on an international comparative project which looks at policy responses to shrinking/declining suburban areas. His previous work on shrinking cities includes a comparative study of policy responses in Manchester and Leipzig which was completed for the Anglo-German Foundation. Mace. A., Madeddu, M., Gallent, N. Space in New Homes: Delivering Functionality and Liveability through Regulation or Design Innovation? Town Planning Review. Mace, A, (2013) ‘The future has come and gone: managing change in the aging suburbs.’ In New Suburban Stories, Continuum/Bloomsbury Studies in the City series. Gallent, N., Mace, A. and Tewdwr-Jones, M. (2005) Second Homes: European Perspectives and UK Policies. Ashgate, London.